The Campari drink of Campari group, is a popular drink without high alcohol ideal for snacks. 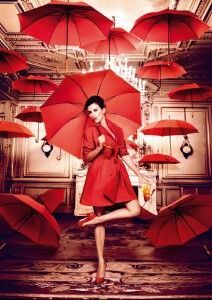 In 2013, this famous brand carried out the catalog of that year, and for the task in question they worked with a spectacular Penelope Cruz dressed in a beautiful red dress (same color as the drink) walking, dressing up or preparing occasional drink in a amazing palace in the center of the spanish capital Madrid. To search for this singular space that could carry out the shooting the Campari group counted with the collaboration of Tao Plus Locations. Our company provided and managed this wonderful palace. Speaking about snacks, we leave a sample of the result of the beautiful photo shooting.